The following legends, which are based on historical facts, are translated from the book, “Legends from Southern Shaolin” 南少林傳奇, written by Chiew Sek (Cantonese Chinese) in 1993, which Grandmaster Wong bought more than 20 years ago in 1995. There are some differences between the legends here and those that Grandmaster Wong heard from his father more than 70 years ago in the late 1940s from a Chinese magazine entitled “Legends from Kungfu Knights” 武俠小說王. 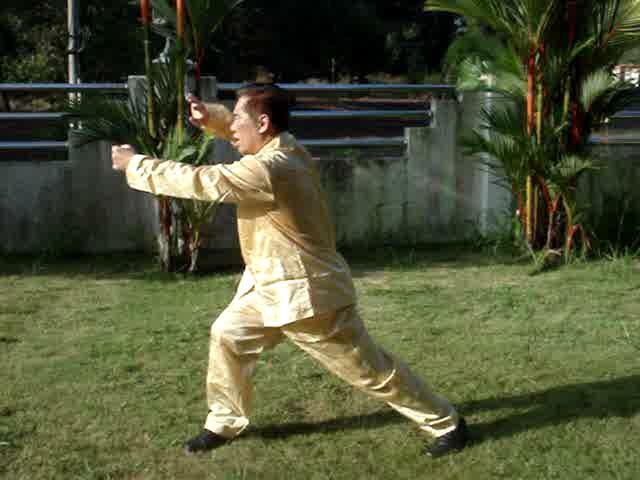 In reproducing the legends here, Grandmaster Wong made some modifications according to what kungfu masters knew. Some Chinese terms are in figurative language, and their meanings are explained in parenthesis, thus adding to the fun and beauty of the language. These legends happened after the first burning of the first southern Shaolin Monastery at the City of Quanzhou in Fujian Province, where our patriarch, the Venerable Jiang Nan, escaped. 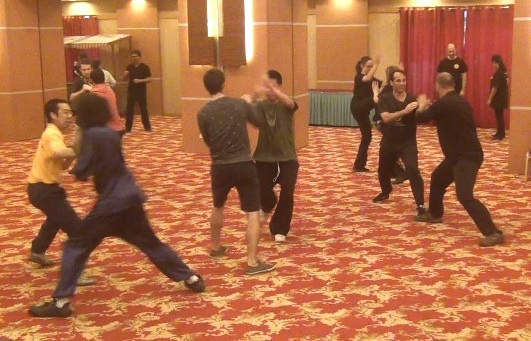 Little is known of the Venerable Jiang Nan because he ran out of China, thus missing the legends that many kungfu exponents were fond of, and passed the Shaolin arts to Sifu Yang Fatt Khuen, who then passed to Sifu Ho Fatt Nam. 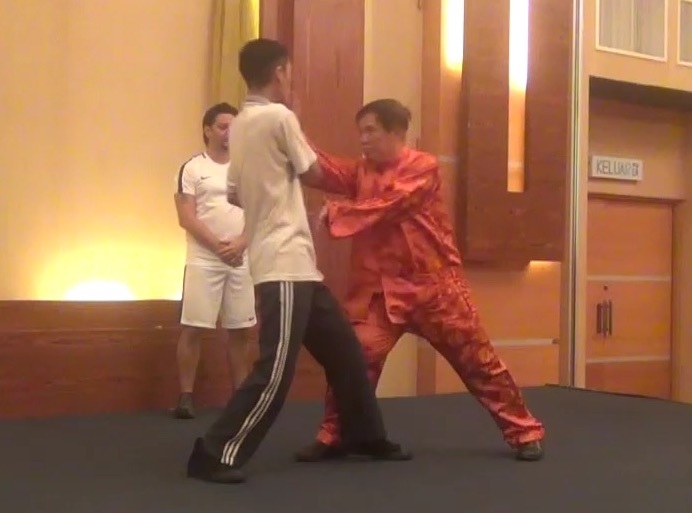 Grandmaster Wong learned from Sifu Ho Fatt Nam in the 1970s. Another of our patriarch, the Venerable Chi Seen, also escaped from the first burning of the southern Shaolin Monastery at Quanzhou. 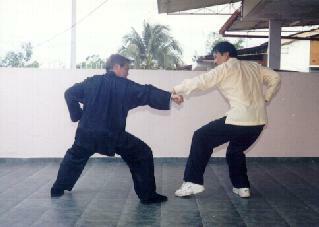 He established a second southern Shaolin Monastery on Jiu Lian shan, or the Nine-Lotus Mountain, also in Fujian Province. These legends, which were popular among many Chinese-reading public who were interested in kungfu, occurred after the first burning of the southern Shaolin Monastery at Quanzhou and before the second burning of the southern Shaolin Monastery on the Nine-Lotus Mountain by the Qing army led by Pak Mei. 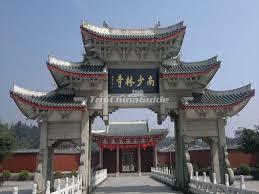 The northern Shaolin Monastery at Henan was still intact. It was razed to the ground by warlords in 1927, and its burning had nothing to do with kungfu. Before that, an emperor of the Ming Dynasty, which preceded the Qing Dynasty, moved the imperial status of the Shaolin Monastery from Henan to Quanzhou. These legends from Southern Shaolin were well known among kungfu exponents, especially old masters, of the 20th century. It is highly recommended that our Shaolin Wahnam family members also know of these legends. Duel after Duel, When Will this End?